Chicago’s police union says an updated plan to reform the department under court supervision is unnecessary and counterproductive. Kevin Graham, who heads the Fraternal Order of Police, Chicago Lodge 7, said in a statement Thursday that the plan “will have a devastating effect upon policing in Chicago” and would undermine the union’s collective bargaining agreement with the city. He didn’t detail his objections. His comments came hours after Chicago’s mayor and Illinois’ attorney general unveiled the reworked plan for what they say will be far-reaching, permanent reforms. It still requires court approval. Graham previously criticized a provision that would require officers to file paperwork whenever they point a gun at someone, even if they don’t fire. He said it would cause officers to hesitate, putting them in greater danger. 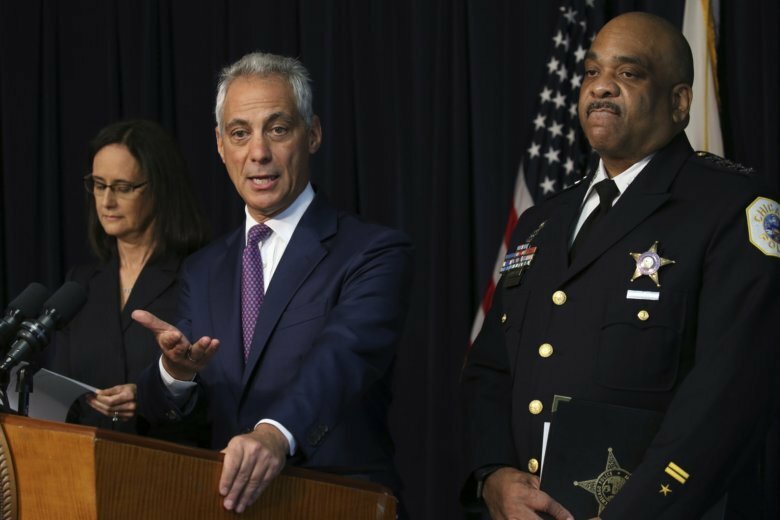 Chicago’s mayor and Illinois’ attorney general have unveiled an updated plan to reform the city’s police, vowing permanent changes within the 12,000-officer force. Attorney General Lisa Madigan, with Emanuel’s approval, sued Chicago last year to ensure reforms include court oversight. After public comment, the judge could OK it by year’s end.